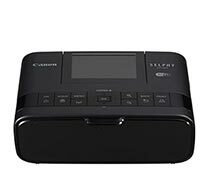 Share physical prints of all your latest memories with the portable black SELPHY CP1300 Compact Photo Printer from Canon. Using dye sublimation technology, you can quickly and easily produce vivid and sharp photographs with a resolution of 300 x 300 dpi. Also, the Wi-Fi-enabled CP1300 is quite versatile, as it is able to work with a variety of media, including 2.1 x 2.1" stickers and 4 x 6" postcards. It's fast as well, with the printer able to create a 4 x 6" photo in just 47 seconds, getting your prints ready to share in no time at all. 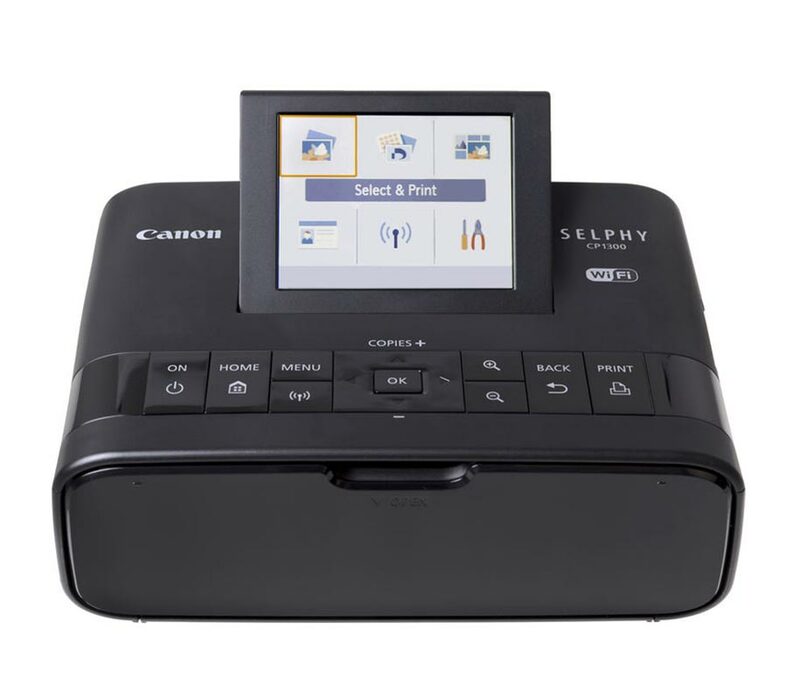 For ease of use, the CP1300 is equipped with a large 3.2" tilting LCD screen that can be used to check settings, apply effects, and preview images before printing. 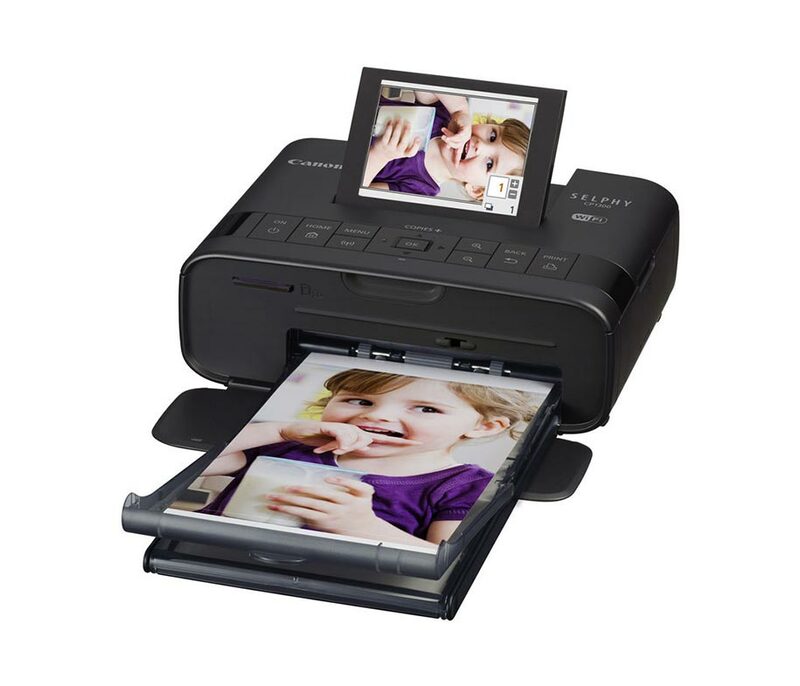 It also provides access to direct printing from the USB host port and SD card slot. 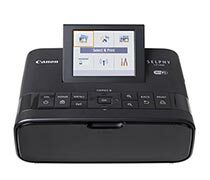 For wireless operation, the printer has multiple options for connectivity, including through a Wi-Fi network, Apple AirPrint, the Canon PRINT mobile app, and wireless PictBridge. There are even new functions, such as Party Shuffle Print, which allows multiple people to connect to the printer at once to create unique collages. Additionally, it has USB 2.0 for a wired connection to a computer and runs on either AC power or on an optional battery pack.